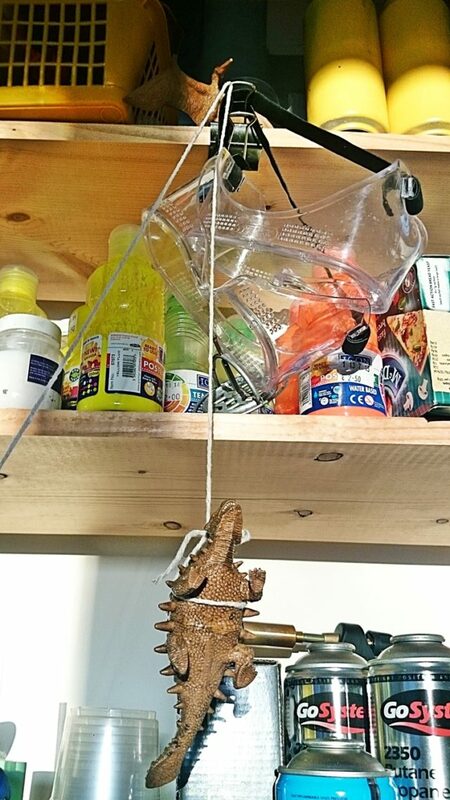 We woke this morning to find the science equipment had been raided…. by a group of dinosaurs! 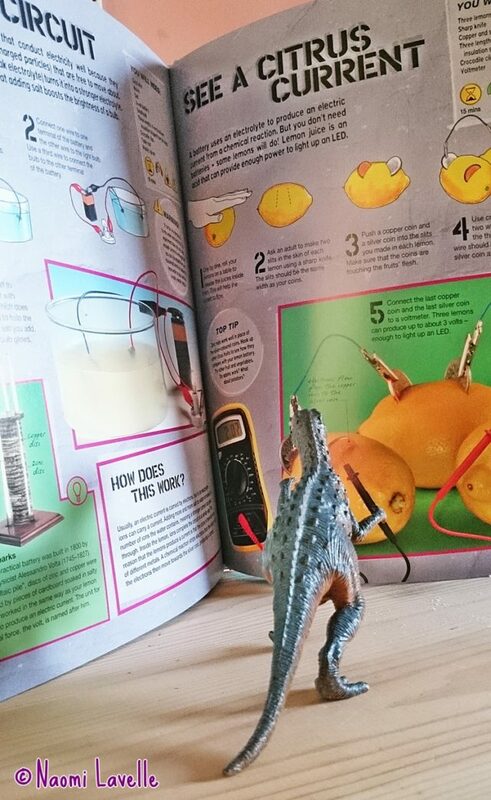 They were caught red handed… reading the science books (and checking out interesting facts about their relatives), rummaging through the equipment and hoisting themselves up to shelves for better access. The children thought it was great but I am a little worried. 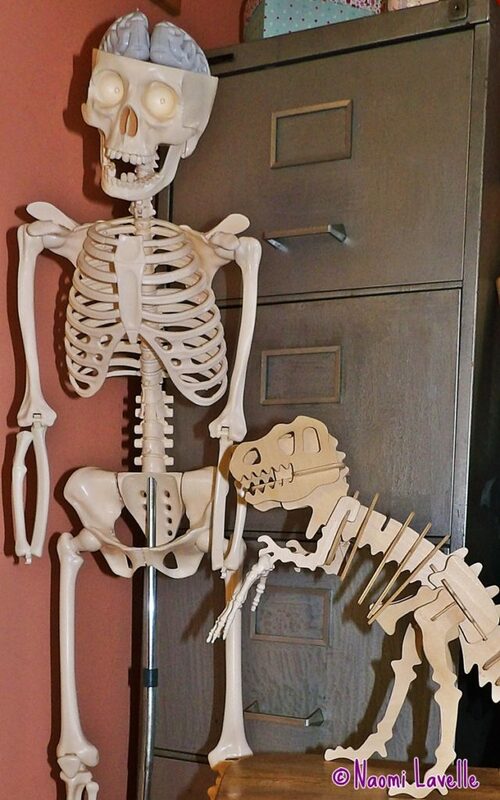 What are these dinosaurs planning? 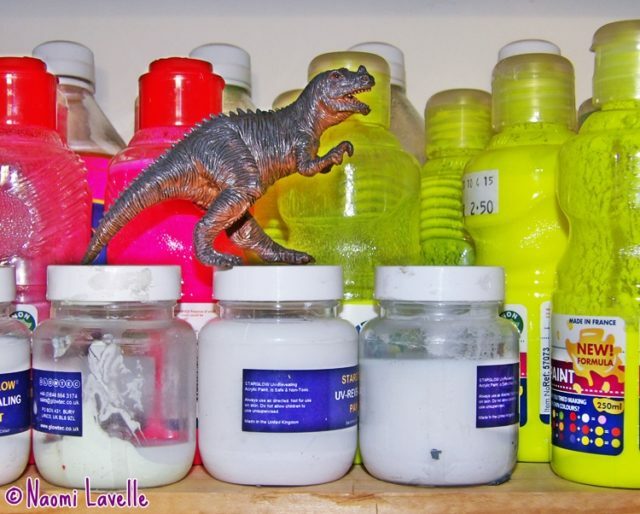 It looks like dinovember might have arrived at the Science Wows house! Let’s hope they don’t get up to too much mischief! 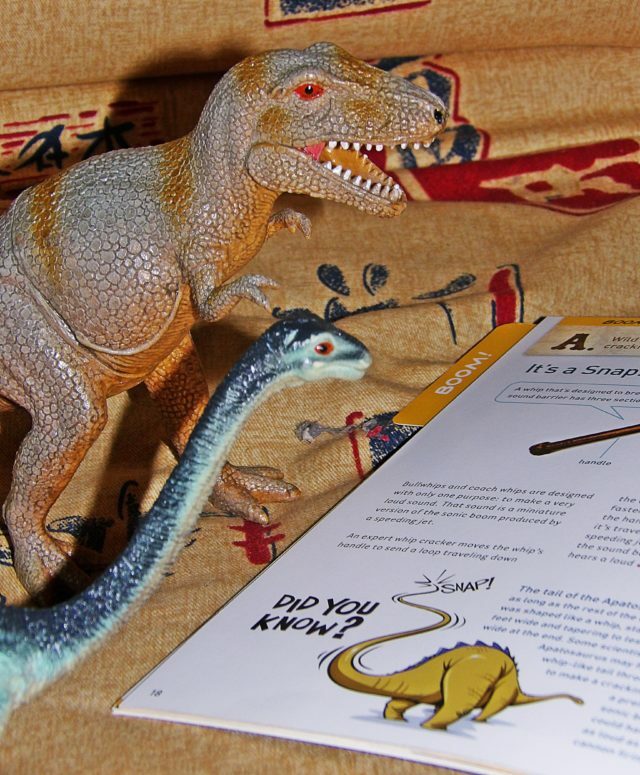 Did you know that the tail of the Apatosaurus may have acted like a bullwhip, breaking the sound barrier as it did so? These enormous dinosaurs lived more than 150 million years ago and may have used their super sonic tail action for defence, communication or courtship. 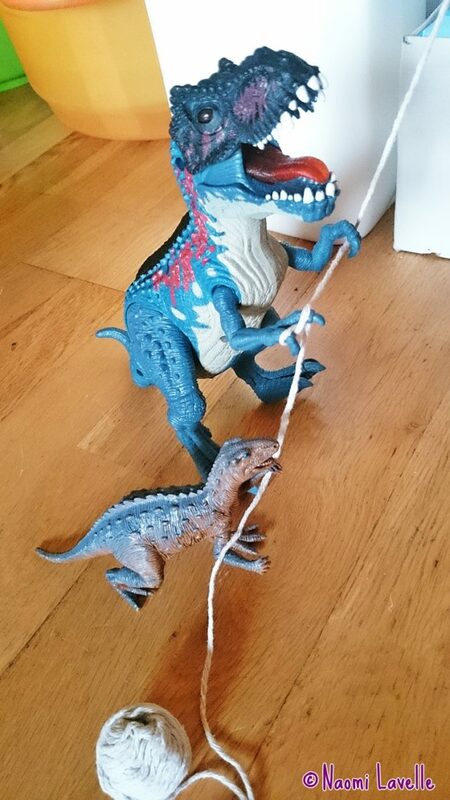 While the pterosaur flew up to prepare the rope…. …and hoist up some back up! Did you know that, although pterosaurs lived along side dinosaurs (from the late Jurrasic period) they are in fact winged reptiles? I really hope they don’t plan on opening any of these paint bottles! This one seems very interested in electric currents! Giving a homo sapien a helping hand! I think it is going to be a long month with this crew running loose. If you want to keep up to date with their antics follow science wows on facebook, twitter and instagram. 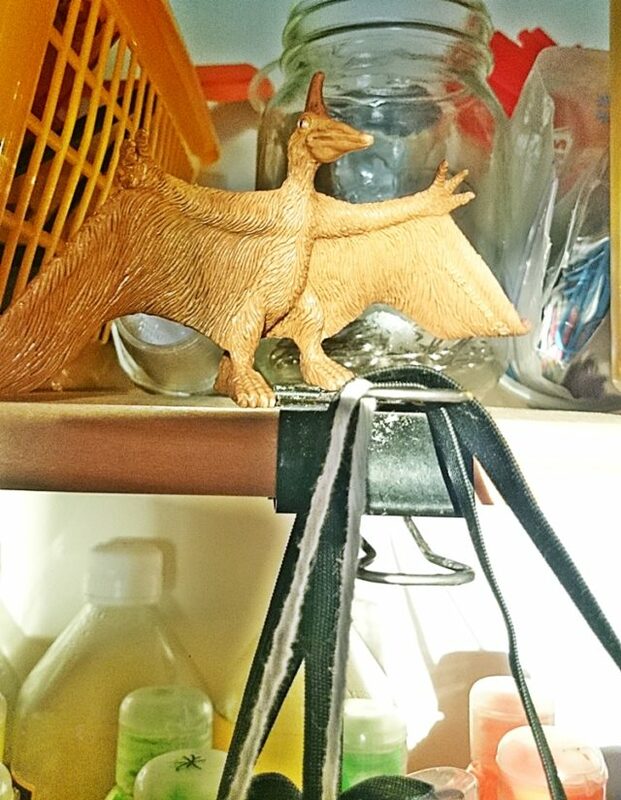 And remember to keep an eye on your household dinosaurs… have you noticed anything unusual?